Attention businesses: Don’t forget your deadline for filing your Forms 1099 and Payroll reports is January 31, 2018. If you made payments to service providers or other mandated reporting persons, attorney’s, etc. 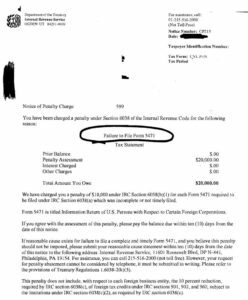 please be certain that you have a signed Form W-9 on file for them now so that this information can be reported on the Form 1099. Lack of a reporting number will cause rejection and possible penalties and deny your deduction for the expenses. The due date is January 31, 2018. File your annual wage and withholding information (including other payments, such as pensions) timely and accurately. If you use a payroll service or other preparer, give your annual wage and withholding information to them promptly and accurately. Before the due date, verify that they filed all required information on time. Visit our website and choose the filing method that works best for you. Take measures to limit processing delays by avoiding common errors. If your annual wage and withholding information is not filed or contains errors, we may contact you. You must respond immediately with the required information. The new tax will add approximately $1.5 trillion to the national deficit. Most of the tax benefits will go to businesses by lowing the corporate tax rate on corporations (while keeping the double taxation aspect of taxing distributions of previously taxed corporate income to shareholders), lowering income tax rates on pass trough entities such as partnerships and S corporations and moving U.S. international business toward what is known as a territorial scheme of taxation whereby earnings of American owned foreign corporations would no longer be taxed and no longer subject to the complexities of international Subpart F rules. The cost would be partially offset by limitations or eliminations of our precious home ownership deductions (significantly hurting middle class earners residing in relatively high cost of living areas such as parts of California, N.J. and NYS (i.e. Putnam County) where the average cost of living has not increased for most people while state and local income and home real estate and school taxes easily eat up 20% of their disposable net income, as well as other deductions and credits. Doing so would allow you to deduct an extra month of mortgage interest that you might not be able to deduct on your 2018 return if you don’t end up itemizing because of the higher standard deduction. If you’re not going to exceed that, maybe you arrange with your parish and prepay your 2018 pledge in 2017. For most people, their federal tax bracket is going to be lower under the tax bill, so it would make sense to defer. If you have a big family, three or more kids, it might make sense to accelerate the income into this year before the tax bill takes effect next year. A key to tax planning is figuring out which deductions to take in one year and which to postpone until the next. This year’s a little different because we have a lot of deductions going away. Have you failed to timely file a complete foreign information report such as Forms 5471, 5472, 114, 8938, 3520, 8865 or any of the other forms? If you are not sure what these forms are but you are either a foreign owner in a U.S. business entity or American owner of a foreign business entity or own foreign financial accounts or other specified foreign assets either directly or indirectly through ownership in foreign entities or persons you are probably delinquent. Even if you were not an owner but merely had signing authority with the ability to control monetary transfers of funds in foreign accounts, or a Director or officer of a foreign corporation that was deemed a Controlled Foreign Corporation (or other entity), or if you are the beneficiary of a foreign trust or estate you have information return responsibilities. The bad news is that the IRS or U.S. Treasury Department will assess a non filing or incomplete filing penalty of $10,000 for each and every form and for every year of delinquency once they find out, and with the new information sharing programs between the U.S. and other countries in effect, it is not about if they find out, but more of a matter of when..and there is no statute of limitation to protect you. The good news is there are government programs available that can help you get caught up with past due income tax returns and foreign information reports and if there is no unreported or unpaid U.S. income tax bringing your tax matters current could be relatively painless if you act now the bring yourself into compliance before the IRS sends you a Notice of Penalty Charge CP215. Reduce individual rates, pare back some write-offs, slash the corporate rate to 20%, give tax preferences to individual owners of pass-through businesses and move to a territorial tax regime for multinationals. However, there are also marked differences. We’ll delve into a few of the major ones. The Senate wants temporary individual cuts. This includes lower rates, higher standard deductions and child credit, repeal of the alternative minimum tax, breaks for self-employed persons and owners of pass-through firms, estate tax changes. The House plan has four individual tax rates, ranging from 12% to 39.6%. The Senate proposes seven rates, starting at 10% and topping out at 38.5%. It’s a close call, but it wouldn’t surprise us to see fewer rates than under current law. There’s huge disagreement over the popular state and local tax write-off. The Senate wants to fully ax it, while the House has come up with a compromise: End income tax write-offs and cap the deduction for real property taxes at $10,000. We think the Senate will cave when both chambers iron out their differences. Other itemizations are also in dispute: The home mortgage interest write-off. The House would nix the break for second homes and lower the $1-million ceiling on home acquisition indebtedness to $500,000. These proposals aren’t included in the Senate bill, but there’s a chance they could make it into any final tax legislation. The write-off for medical costs. The House would do away with this break. The Senate would keep it. We continue to think this deduction will survive in the end. Turn to the estate tax. The House wants to double the lifetime exemption until 2025, when it would then fully repeal the tax. The Senate would preserve the tax but double the lifetime exemption. Look for the Senate proposal to prevail here. The treatment of owners of pass-through firms is in flux. The House bill applies a 25% top rate to a portion of a person’s share of income from proprietorships, LLCs, S corporations and partnerships. The Senate calls for a new 17.4% deduction for pass-through income. Both versions contain lots of limitations and anti-abuse rules that have drawn the ire of powerful lobbying groups and at least one GOP senator. We anticipate that these provisions will be substantially revised in any tax package. After 15 years our old site, built on the Microsoft Front Page Platform, has finally died. We are now in the process of building a new site that we hope that you will find cleaner and easier to use. The download our most recent tax organizer can now be found on our home page under Individual Income Tax Return Preparation. As before, you will need Adobe PDF to read it. This new tax law being enacted makes it of critical importance that you review your personal and business tax situation to determine what, if anything, is required by year end in order to maximize deductions or minimize tax on income. You can contact me if you need assistance prior to year end and we will do our best to summarize those new laws that will impact our clients both domestic and international.